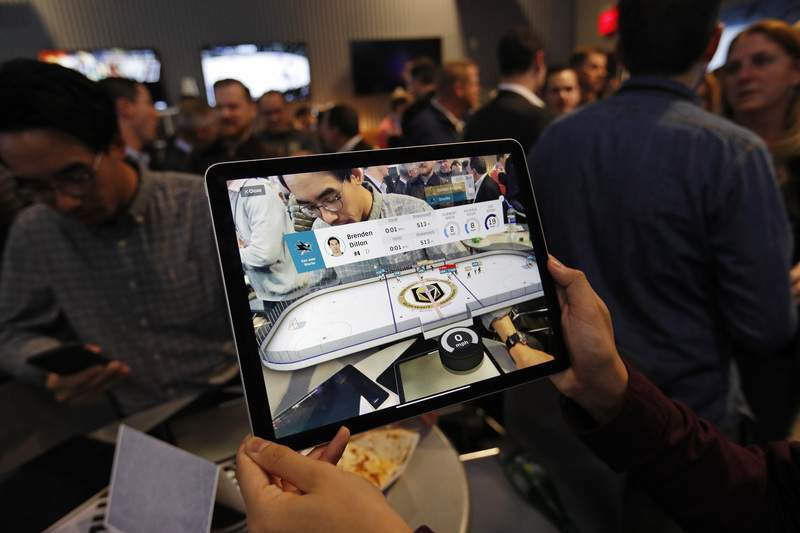 LAS VEGAS -- The NHL for the first time has tested real-time puck and player tracking in regular-season games and intends to have it in place across the league next season. Microchips were added to players' shoulder pads and fitted inside specially designed pucks for two Vegas Golden Knights home games this week, against the New York Rangers and the San Jose Sharks. 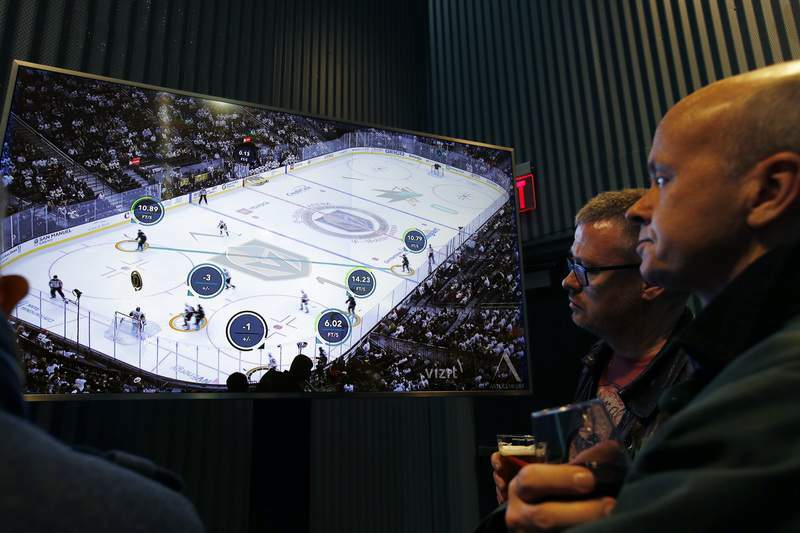 Antennas around the arena tracked the players and the puck through radio frequencies and relayed the data to a suite where league and Players' Association executives and representatives from 20 teams and various technology firms, sports betting companies and TV rights holders were watching. Previous versions of puck and player tracking were tested at All-Star games and the 2016 World Cup of Hockey. The latest tests were intended to refine the logistics of using the technology in meaningful games and to show how the real-time statistics can be used on broadcasts, in betting applications and even to create virtual reality and augmented reality simulations. 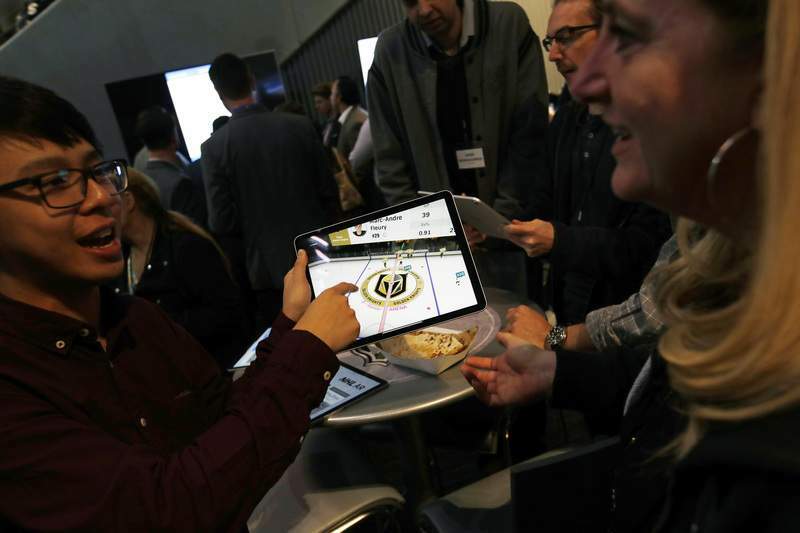 "Technology gives us a chance to bring our fans closer to the game, gives them a chance to look at the game from different perspectives, to actually see from a data standpoint, from a visual standpoint more of what's going on in the game," Commissioner Gary Bettman told the Associated Press on Thursday night as Vegas played the Sharks. "And the opportunity is unlimited in an era where technology is developing at a record pace." Fans will get their first real taste of this puck and player tracking system at the upcoming All-Star Weekend Jan, 25 and 26 in San Jose when NBC in the U.S. and Rogers in Canada will have access to the data to use on their broadcasts. If all goes according to plan, the full range of puck and player tracking will be in place to begin next season. The NHL and NHLPA have been discussing puck and player tracking for several years. Player concerns about tracking data being used against them have been quelled enough they agreed to an understanding with the league about wearing the microchips. All three teams this week had the chips in their uniforms and every puck had the technology. The NHL owns the data but must share it with the union. "I do think the potential positives far outweigh any negatives," said Mathieu Schneider, a retired defenseman and special assistant to the NHLPA executive director. "It's incumbent upon us to make sure we're doing not only for the current guys what we can, but for future guys. It's a juggling act, there's no question. There's the juggling act. But I think the timing's right." Once the technology is implemented, the NHL will join the NFL as the two major North American professional sports leagues with players wearing tracking technology. The NBA and Major League Baseball track players and game action using sophisticated systems that can include radar and cameras. The Jogmo World Corp. and the Fraunhofer Institute in Germany developed this particular system in conjunction with the NHL during the last three years. It has taken that long just to get it right; the rubber used to make pucks originally didn't work with the sensors. The system tracks a puck 2,000 times per second and players 200 times per second. "Overall, hockey's the most challenging sport that you can think of because the highest mechanics, the highest speed, the highest impact," Jogmo founder and CEO Martin Bachmayer said. "We had to change the puck recipe, the puck mixture to make that work. That was super difficult." The NHL won't say how much, but the new pucks are considerably more expensive than the frozen rubber varieties used during the last 100-plus years of hockey. How referees handle them and how equipment managers deal with the microchips on the shoulder pads were major elements of the testing this week, and adjustments will be made based on feedback from players and officials before next season.